Dr. Plummer is very active outside the office. She enjoys running with her dogs and working out. 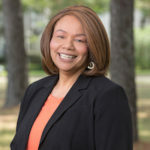 Dr. Plummer is active in her church where she serves as a Deacon. She also serves as the Chairman of the Board for a non-profit Christian education organization. Through her church, she has been a part of two mission trips to Grenada and plans to return to the island in 2018 to once again serve the community there. 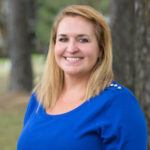 As the mother of two girls, Dr. Plummer keeps busy going to volleyball tournaments and soccer games and loves to travel to watch her girls play. Family is a number one priority for her and she tries to spend most of her free time with them. An avid reader, she escapes into a good book every chance she gets. She also thoroughly enjoys scrapbooking, but rarely has the time to indulge in this hobby. 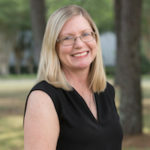 Amy Plummer has been practicing Ob/Gyn in the Kingwood area for 19 years. She attended Baylor University, where she graduated with Honors in Biology. Amy completed medical school and residency at Baylor College of Medicine in Houston. 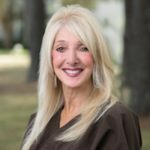 She started practicing Ob/Gyn in the Kingwood/Humble area during the summer of 1996. She continues to grow and learn as a physician, maintaining her board certification and is a certified DaVinci Robot surgeon. 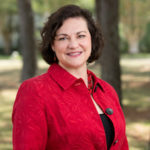 Amy has served as the chief of Ob/Gyn at both Northeast Medical Center Hospital and Kingwood Medical Center Hospital. She now maintains privileges at Kingwood Medical Center. Amy is very active in the community. Amy loves her job, especially her patients. She views it as a “calling’. Amy is very proud to have been honored for this in 2005 when she received the Family Time Woman of Achievement Award for Human Services. She is pleased to be part of a practice that recognizes the importance of community service.